While looking for some photos I came across a GM Suburban bus brochure for model SDH/SDM-5304A. On the inside of the cover the following diagrams and dimensions are shown. 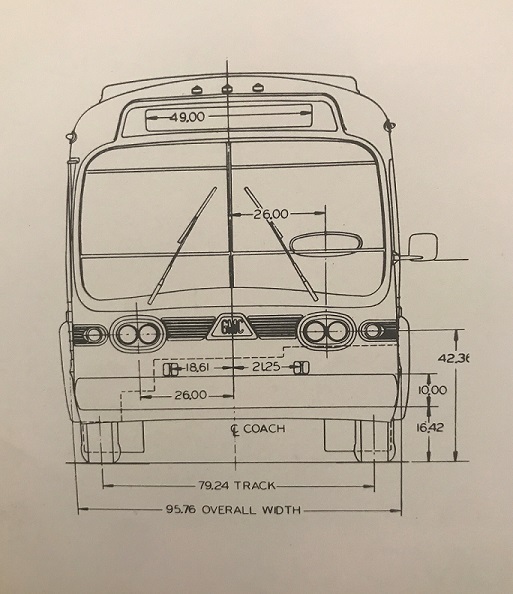 With the exception that it has no rear door, no standee windows and a platform for all forward facing seats, the dimensions are the same for a 96 inch wide, 40 foot long transit bus. Note the rear has provision for "EIP" kit on either side of the rear windshield. 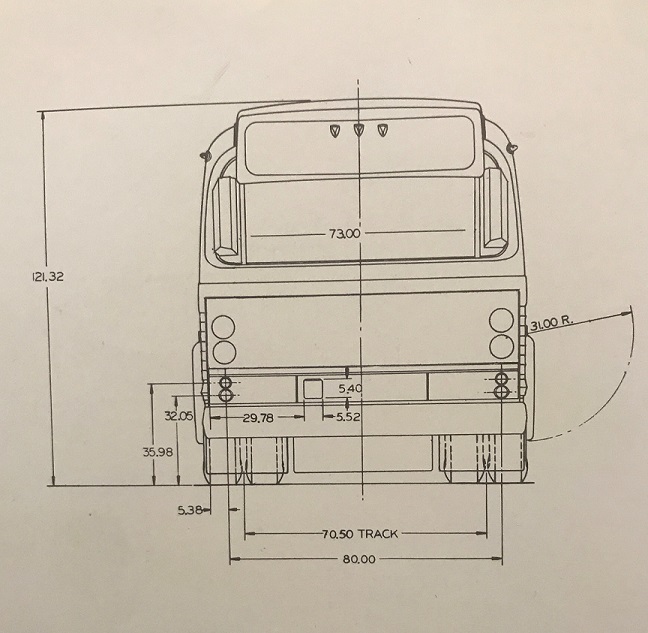 I presume for the 102" wide ones, the "overall width" would've been 101.76, and 85.24" / 76.50" for track width? And shouldn't the designation for this be S8H/S8M-5304A?